Wing Bean Salad is a central Thai dish featuring “wing beans” which are blanched and tossed with coconut milk, roasted chili paste, toasted coconut, tamarind, palm sugar and peanuts. If you can’t get wing beans where you are, they can be substituted with green beans or snap peas. Real Thai Recipes © 2019 .:. 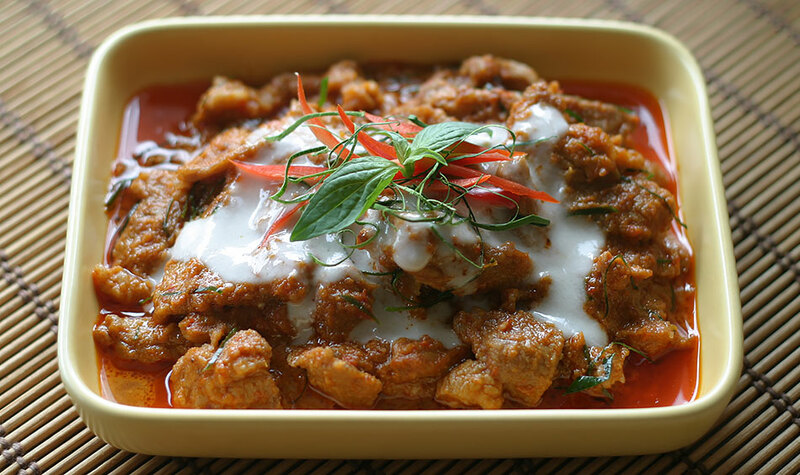 Authentic Thai Recipes direct from Thailand. Do not copy content, recipes or images without permission!! !